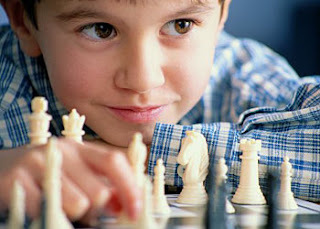 Had two sessions of chess game today after quite a long time. Yup, my steps were a bit rusty and took quite a while to recall some good old opening moves and strategies. I won both games. This game is not suitable for those who don't like to THINK. And you have to THINK 10 steps ahead in order to try to win the game. I replied shortly and precisely," Kena sentiasa fokus apa MATLAMAT UTAMA dalam game chess ni." What causes my opponent to lose twice is because she falls easily for my trap. I set up a free knight for her to capture while trying to distract her from my "secret" move sets on assaulting her defense line and to check mate her in an instant. In chess, one can easily become greedy. Why? Those chess players out there know that the most valuable piece in this game is the Queen, because of its ability that can do wonders in this game. Next come the Rook, Bishop, Knight, Pawn, last but not least, the King itself. The King can be regarded as the most worthless piece in this game, it is just too weak and causing liability on us throughout the game. One can either become so overprotective of all one's pieces or become so greedy to capture other opponent's pieces because those who have more pieces in the game and have positioned them well will have TEMPORARY advantage. I repeat, TEMPORARY. Despite all, the main objective of this game is to protect that worthless piece of your King at all cost and to check mate/kill your opponent's King with all might. My opponent lost not once, but twice because she is focusing too much on capturing my other pieces, to gain that TEMPORARY advantage. I have to admit that the so-called TEMPORARY advantage is definitely important as the game progresses, but it does not give you 100% guarantee that you will win ultimately in the end. So are the worldly life that we are currently living in. We focus so much on things that only give us TEMPORARY pleasure and comfort. We always forget to take care of something seems so worthless in this worldly life, the IMAN, the DEEN but yet it is the most important thing we ever have. That signifies our mission in this life. The ultimate, the utmost important mission above all in this world. Everything else in our life are just TEMPORARY, you are not going to carry all together with you into your coffin. It doesn't matter how much knights, bishops, pawns, rooks and queen that you have captured. In the end it's all about who gets to check mate first. It doesn't matter how many cash, assets like houses, cars so on and so forth that you own now. In the end it's all about who has the best deeds and the most pious. I have to remind again that capturing opponent's pieces is crucial in order to survive and so does owning those things mentioned above in our lives. However, stay intact with your main purpose and goal in this game or in this life. Don't get distracted. It's all about who has the biggest laugh in the end, don't you agree? Focus towards your main objective is the key! 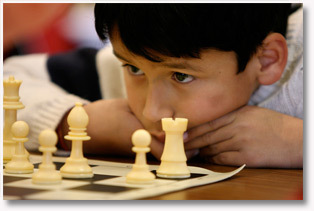 As important as it may seem in order to win the chess game, the same goes in our life as well. The objective/task that seems TRIVIAL as the game runs but that is the only thing that matters in the end. The objective/task that seems TRIVIAL as our life goes on but that is the only thing that matters in the end when we die. Just like in the game, capturing a free knight is so irresistible and tempting. The same goes in our life. "Capturing" all sort of blessings/nikmat in this life is definitely irresistible as well for all typical living human. Always remember the main purpose of our lives in this world. To finish up all opponent's pieces/to enjoy our life to the maximum with all the luxuries and all the "bling-bling" you can earn is definitely not the purpose of the chess game/purpose of our lives. Focus Imran!!! Focus!! you must remain focused on ur journey for greatness..
"You must THINK 10 steps ahead"